Families of adults with special needs should become familiar with how HIPAA affects medical privacy and decision-making. HIPAA is an acronym that stands for “Health Information Portability and Accountability Act”, a federal law that governs health information privacy and security. For patients and their family members, HIPAA helps protect sensitive treatment and diagnostic information from public disclosure, but it can be an obstacle if family members need access to that information to help make health care decisions or answer questions. Health care providers can share private medical information with a patient’s family or friends if the patient specifically tells the providers they can do so or if the patient does not object. For example, if the patient brings a friend to an appointment and the friend comes into the examination room, the doctor can discuss medical information with the friend present. Even if the patient is not present, providers may use their professional judgment to determine if sharing the information is in the best interests of the patient, such as sharing a patient’s condition to a relative in the emergency room or allowing a parent to pick up a prescription from the pharmacy. See 45 C.F.R. §§ 164.502(g); 164.510(b). HIPAA also permits a “personal representative” of the patient to obtain a copy of the patient’s private medical information. Personal representatives include people holding powers of attorney for health care, parents, legal guardians, and estate executors or administrators. 45 C.F.R. § 164.502(g). State law may permit other representatives to gain access. The families of adults with special needs face particular obstacles in accessing private medical information. If there is no power of attorney or guardianship in place and the patient is an adult who is not able to or does not want to consent to disclosure, some providers may refuse to provide treatment information to a relative. (See our previous article on the Health Care Surrogate Act which may help in these situations.) 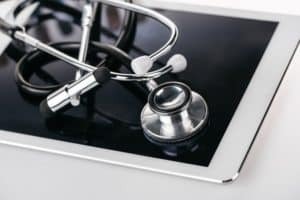 In particular, some providers have more stringent guidelines on release of medical information over the phone or when the patient is not present. These obstacles are greater if the person seeking the medical information is a family friend or cannot prove his identity or relationship to the person with special needs. In an emergency, a person with special needs could end up with no family or friends by his side. Avoiding problems with HIPAA in an emergency depends on future planning. Your family should have a plan in place for emergencies. Start with signing a health care power of attorney, and you may want to give the relative with special needs an emergency contact card for his wallet or a health alert bracelet. Talk to health care providers about what kind of proof of identity they need (such as a signed HIPAA waiver) and to whom they will release records. Establish a relationship with providers so that they know your family, and work with the HIPAA rules so that you and providers can best support the medical care of your adult family member with special needs.